Lavery Design Associates, NY Design and development of customized website for your business. We are professionals who deliver targeted results with skillful execution. We are proficient, adaptable, reliable, resourceful & thorough experts in our field. We focus on the details that make the difference. Rita’s background is in advertising and corporate communication design as well as in publishing, public relations and organizational communications. She has worked in the editorial and design offices of Long Island Goodliving Magazine and on the IBM corporate publication Horizons, The Olympus Corporate Newsletter, C++ Magazine, School Executive Magazine, Vis A Vis, as well as with a wide-variety of regional business clients. She has co-written and designed corporate books and been a contributing writer to High Definition Living Magazine. Rita was Adjunct Faculty Member at Suffolk County Community College Eastern Campus in Riverhead, NY for 15 years and was an Advisor to Student Media. Rita holds a BA degree in Communication Arts and is also a fine artist and author. Working closely with Art Directors and graphic design teams, Jerry is proficient in photo editing, retouching and optimization with Adobe PhotoShop and rendering vector art in Adobe Illustrator. He has a working knowledge of Adobe InDesign as well. Jerry constantly stays up-to-date on the latest web advances and technologies. An early adopter of the Internet’s unlimited potential for creativity and e-enterprise, Debbie Mahony has been involved in web design since 1999. A former head of marketing for a large music publisher and distributor, and more recently a twice-successful small business owner, she brings her varied skills and creativity to each project she signs on to. Debbie has been involved in the design and development of websites that run the gamut from local small businesses to nationally known lawyers, authors, musicians, songwriters, and personal growth experts. 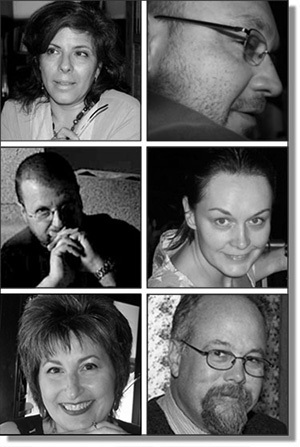 Dimitry has created work for Audubon, Cancer Journal, Discover, Forbes, Field Stream, The International Herald Tribune, Molecular Medicine, The New York Times Science Times, Newsweek, OutDoor Life, National Wildlife, RedHerring, Sound & Vision, Smithsonian, Science, Scientific American, Yachting and others. Currently he is listed on the masthead of OutDoor Life as a contributing illustrator. Dimitry received an Applied Science Degree in Illustration at Parsons School of Design and a BS in Marine Biology at the University of New England. Dimitry is an adjuct professor of Drawing at SUNY Farmingdale in New York. His artwork appears in numerous ﬁne art collections. Julius has been providing photographic images for the tri-state area with personalized, one-on-one service for over 25 years. He has a working knowledge of analog and digital camera techniques; composition; black-and-white photography and color photography both in-studio and on location; printing; photoshop; outdoor and indoor lighting. His expertise includes advertising, marketing, website, packaging, catalogs, still-life, architecture and interiors, industrial, editorial, and photojournalism. Julius’ photographs have appeared locally, nationally and internationally. Victoria is a 25 year public relations and marketing veteran, specializing in lifestyle and consumer topics that encompass new products, health, nutrition, fitness/sports, and leisure activities. She has been a consultant to an array of national clients and has developed and implemented comprehensive publicity programs, created special media events, coordinated spokesperson media tours, and obtained extensive media placements. Currently, Victoria’s media placement expertise and established national/ regional/ local media contacts with the top 100 daily newspapers, consumer and on-line publications are sought by major New York City relations agencies for initial launches of high-profile consumer and health related products, FDA-approved pharmaceuticals and national survey/clinical trial results. We take an objective look and offer a professional perspective.